Please check out GEV Magazine's spring fashion cover featuring my mom and me for their first mother-daughter editorial. 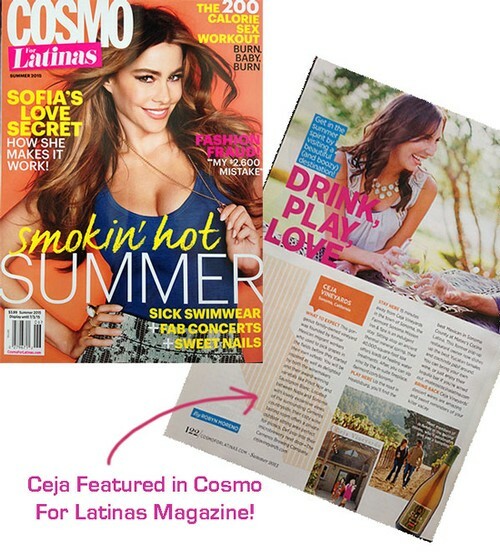 In this feature, read about Ceja Vineyards excitement around the combination of wine, women, food, fashion and fiestas. I would like to send a big shout out and thank you to the entire Gastronomique En Vogue Magazine team + Glam squad for bringing their vision to life. Please share with your family and friends! Read full cover story HERE!